Observu will notify you about errors and warnings the way that suits you best. Notifications can be through e-mail, including many details on the number of locations and measurements. 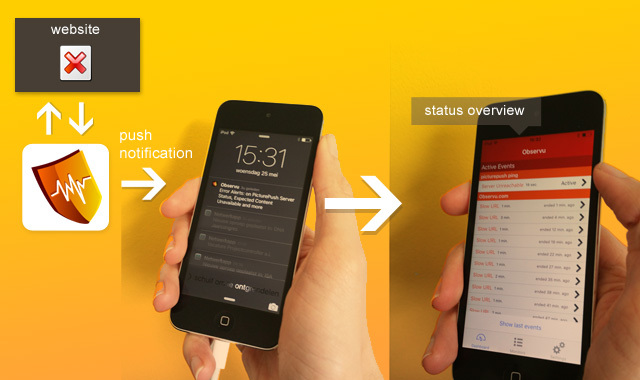 Push notifications in our app allow to quickly check current status. An SMS based alert will inform you when things get more serious even without 3G/4G internet. For the most important outages you can be notified with a phone call, to make sure you don't miss it. 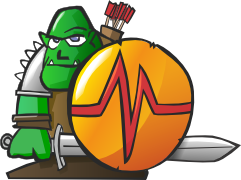 Observu allows fine-grained and configurable rules when to get notified. For some sites you may want to get notified immediately as soon as a second location confirms the issue, while on others you do not want to be bothered with each network fluke. Because Observu checks your website from all it's monitoring locations, every minute, you will be able to tell almost immediately whether an outage is just a local exception or something that can be confirmed by a majority. As you are running multiple sites and servers, errors are often related. Observu will combine related notifications and thus significantly reduce the volume of notification e-mails and texts in case disaster strikes. Reducing the volume of notifications greatly improves the chances of the actual important notifications to be taken seriously as soon as they arive.